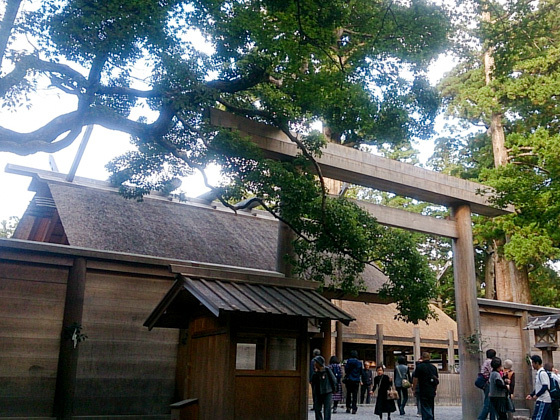 The Ise-jingu Shrine is well known to the Japanese people by the name of "Oisesan". It is the place where the Sun Goddess Amaterasu Omikami, who is considered to be the most sacred Goddess according to the Kojiki, Japan's oldest record book of ancient matters, is enshrined. The Japanese royal family continues to worship the Amaterasu Omikami, thus it is a very special sacred place for the nation. 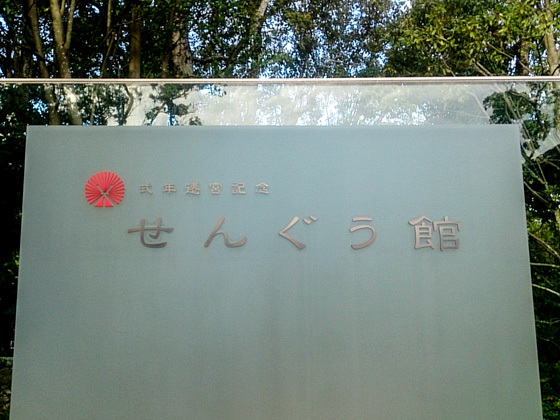 The act of visiting the Ise-jingu Shrine is called "Oise mairi". 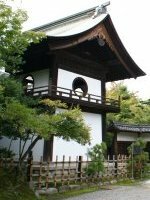 It became a boom to visit the shrine during the Edo period (around 1600 to 1800) when good transportation means were not yet established. People aspired to pay a visit at least once in their lifetime. A place where the ancient myths of 2,000 years ago are still alive and can be felt. 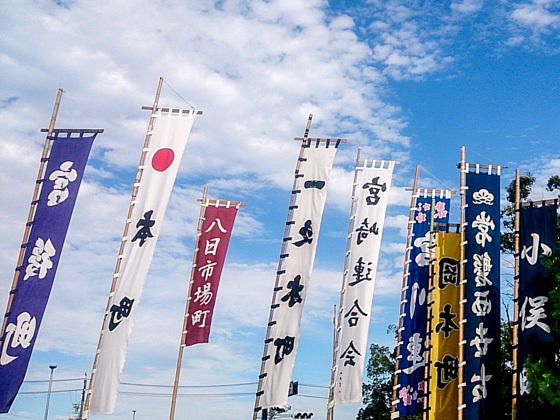 Why not travel along the Ise Mishiomichi that takes you to the Ise-jingu Shrine? The Futami-ura has a strong relationship with the Ise-jingu Shrine. Princess Yamato-hime-no-mikoto who was traveling around in search of a place for enshrinement of the Amaterasu Omikami came to Futami-ura, when she was offered salt from a local God. 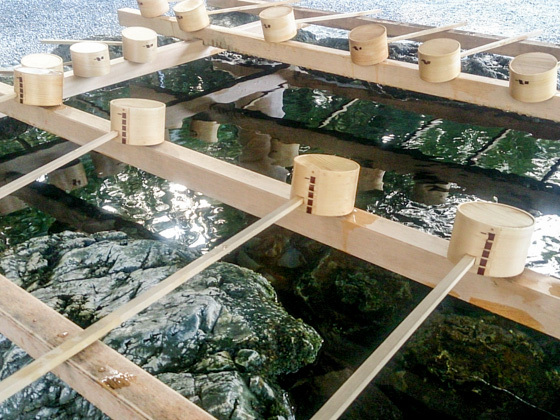 Ever since then, the salt used for an offering to the Ise-jingu Shrine is made from seawater in the Futami-ura area. Futami-ura is a seacoast that stretches approximately 4 kilometers long, and is said to have been the first beach in Japan which was open to the public for swimming (1882). You will feel the ocean breeze with a beautiful seaside landscape together with the Japanese Ryokan inns that stand along the coast. 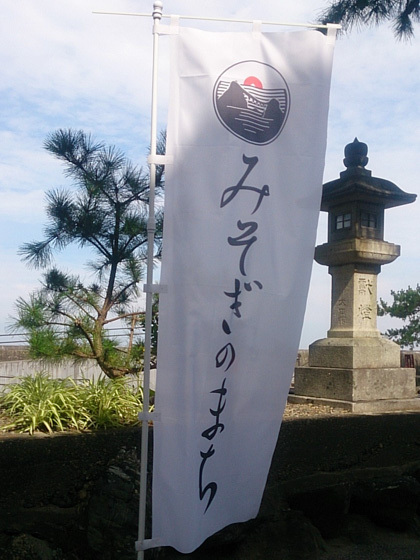 There is a traditional practice to perform the Misogi (a ritual to purify the body and mind) at the Futami-ura shore. Even today, faithful believers worship the spot as an initial point for pilgrimaging to the Ise-jingu. 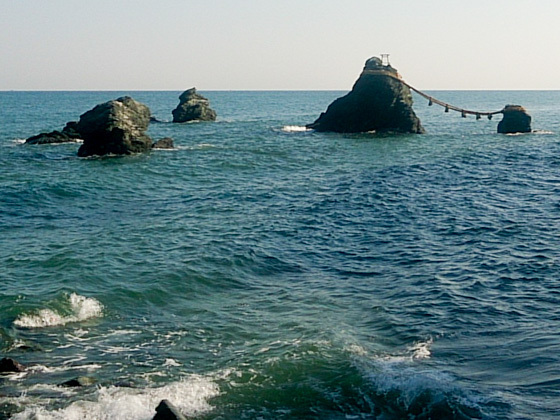 The Meoto-iwa (couple rocks), a symbol of the Futami-ura is composed of the O-iwa (male rock, 9m high) and the Me-iwa (female rock, 4m high), which are joined by an Ooshimenawa (twisted rice straw rope). The Ooshimenawa is replaced to a new one three times a year (on May 5, September 5 and on a weekend in mid-December). Different views of the Futami-ura can be enjoyed throughout the year. Between May and July, you can observe the sun rising between the two rocks. During full moon between October and January, a number of photographers and worshippers visit the area to see the moon rising from the gap between the rocks. The Futami Okitama-jinja Shrine can be found in front of the Meoto-iwa. Sarutahiko-no-okami, also called the Michihiraki-no-kami, is the main enshrined deities. It is believed to answer your prayers for a good marriage relationship, matchmaking, and catharsis. 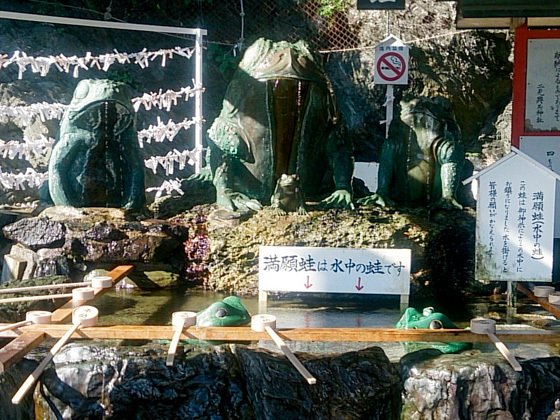 You will see numerous frog stone statues inside the shrine premises and along the coastal streets, as frogs are considered to be the messenger of the Sarutahiko-no-okami. It is a 3-minute walk distance from the Meoto-iwa. 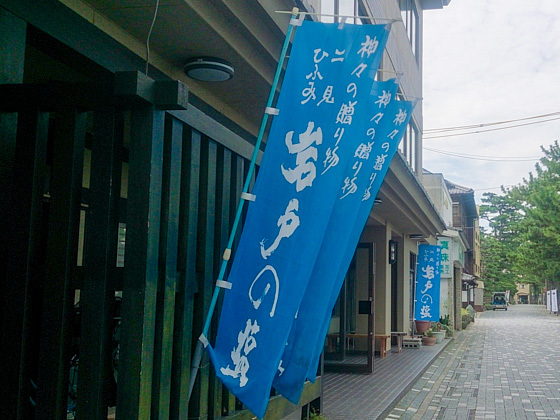 A recommendable inn for people who prefer to make a pilgrimage to the Ise-jingu Shrine following the ancient traditional route, starting from the Misogi no Machi. Have a splendid view of the Futami-ura and the ocean, while feeling the gentle sea breeze. 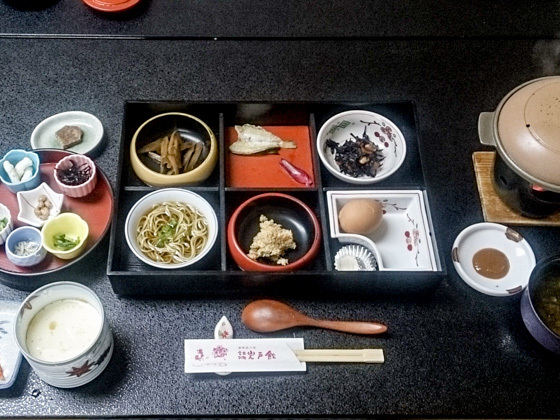 Enjoy the hot bath that contains natural bittern, and the inn's special breakfast "Misogi Gozen". 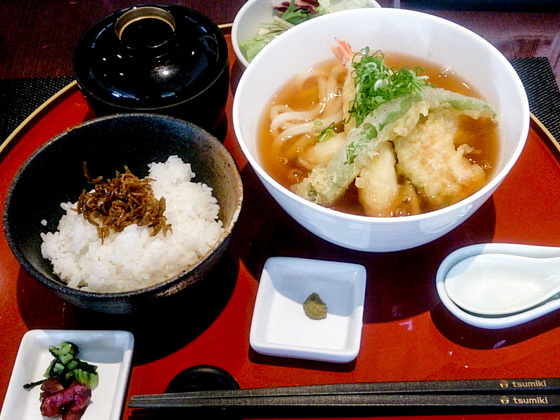 Plenty of local seafood and food from the mountains of Ise Shima region are used in the meal. Especially, their "torufa" is a popular dish among female guests. At Iwatokan, salt is manufactured in a natural way using only seawater and without any additives. The "Iwato no Shio" salt made from pure local seawater is available for sale. 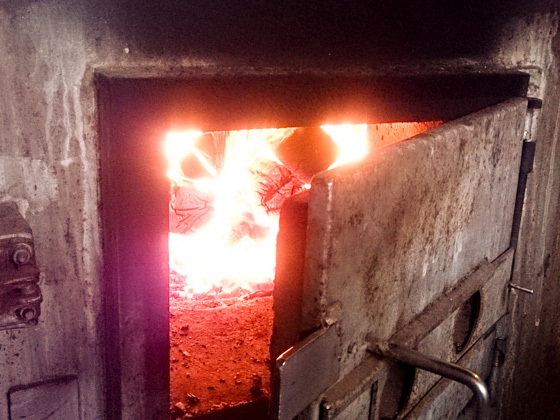 Salt is manufactured following a burdensome process of adding seawater to the caldron which is heated by firewood until water is evaporated. The product supplements minerals that people nowadays often lack of, and has health-promoting benefits. They can be bought at the shop inside the inn. The Geku is officially called the "Toyouke Daijingu", where the Toyouke-no Omikami, who is the Miketsukami (deity in charge of catering) for the Amaterasu Omikami, is enshrined as the main deity. Every morning and evening, the Miketsu no Matsuri is performed continuously ever since its enshrinement up to the present date. Since the Toyouke-no Omikami is the god of food, "Shinsen", the food offered for the deities is gathered in this place and are distributed to the Amaterasu Omikami and other deities of the Ise. Among various festivals which are held throughout the year at the Ise-jingu Shrine, the biggest one is the Niiname-sai celebrated in October. It is a ceremony to offer the first harvest of the season to the Amaterasu Omikami. The festival is held on October 15 at the Geku, and October 16 at Naiku. The Zenyasai (celebrating the eve) on the 14th, the Hatsuho-hiki (pulling the festival float stacked with harvested crop) to Geku on the 15th, and Hatsuho-hiki from the Isuzugawa river to Naiku on the 16th are the main festival highlights. The Ise-jingu Shrine has the "Shikinen Sengu", a system which is very unique in the world. In the Shikinen Sengu, the structures of the Shrine are disassembled and rebuilt every 20 years. Further, the Onshozoku-shimpo (sacred jewelries and apparel offered to the deities within the palace [Onshozoku], and furniture including armors and musical instruments [Shimpo]) are refurbished, and the Goshintai (the sacred body of the resident deity) is moved to the new place.Detailed information on the Shikinen Sengu can be found at the Sengukan Museum. A variety of restaurants and eateries stand along the Geku Sangudo (the road that connects the Ise-shi Station to Geku). 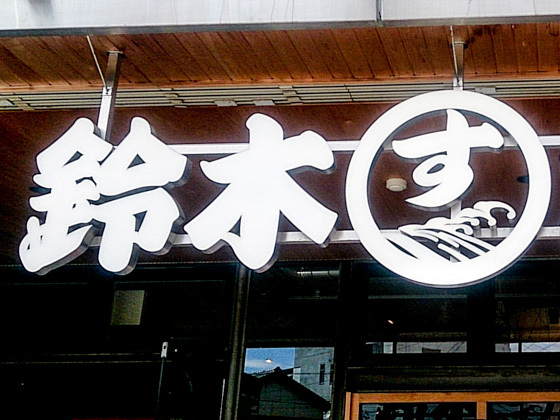 Restaurant "tsumiki" offers casual and inexpensive lunch plates. 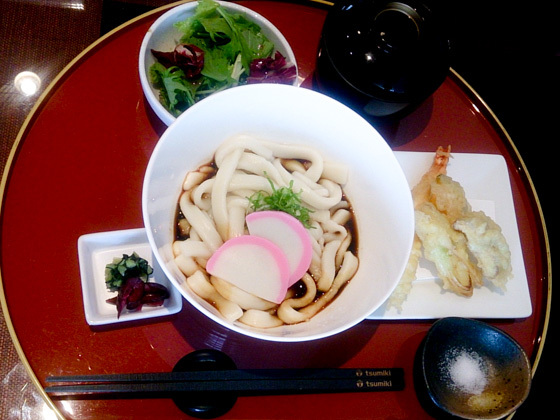 Set menus combining the local specialty Ise-udon with a different dish are the popular choices. The "Suzuki Suisan" is recommendable for those who like to enjoy the local Ise Shima seafood. Tekone-zushi using plenty of Ise Maguro tuna and the Kaisen Domburi (seafood rice bowl) are customers' favorite selections. 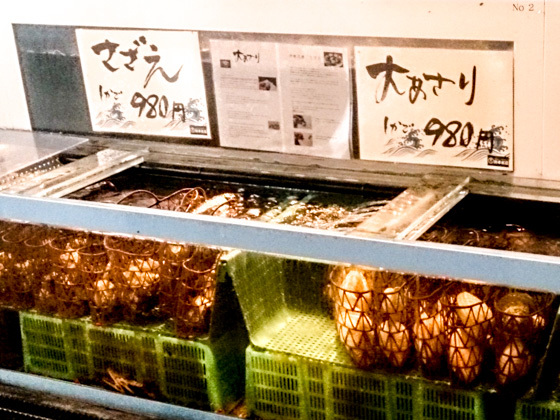 You can also buy seafood as souvenirs. 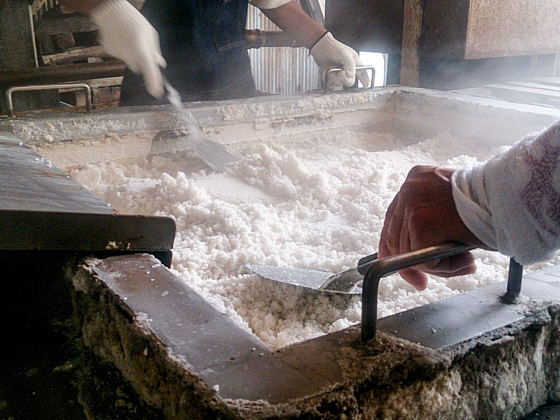 Salt manufactured at Futami is an indispensable offering to the Jingu's Shinsen (food offered to the deities). The "Mishiomichi" road was established in front of the Geku in order to transport salt from the area to Geku. 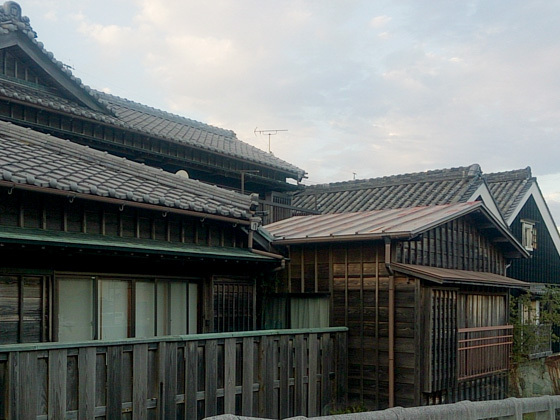 The oldest architecture along the Mishiomichi is the "Kikuichi Monji". 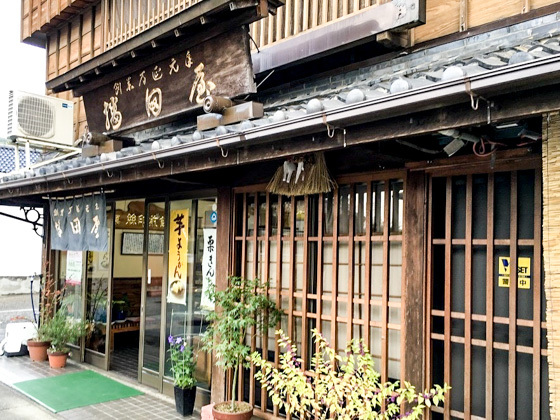 It is a traditional knife shop, located at the starting point of the Mishiomichi. The knives manufactured here are known for having sophisticated technology and were offered to the then Showa Emperor as gifts. Knives, scissors, and other daily commodities are available. 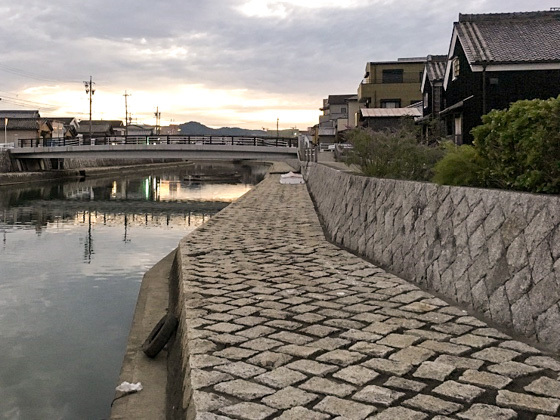 From sometime in the 16th century, Kawasaki was developed as a riverside station that connects water and land transportation using people and horses to carry goods and supplies to the Monzen-machi in Ise-jingu Shrine. 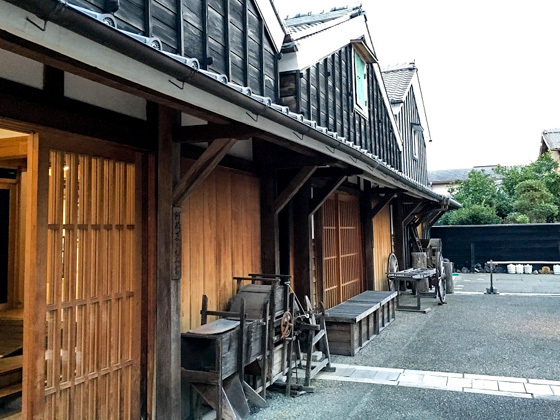 A historical landscape with merchant houses and warehouses still remain in the area, bringing about an atmosphere of people's daily living and creating a sense of nostalgia. 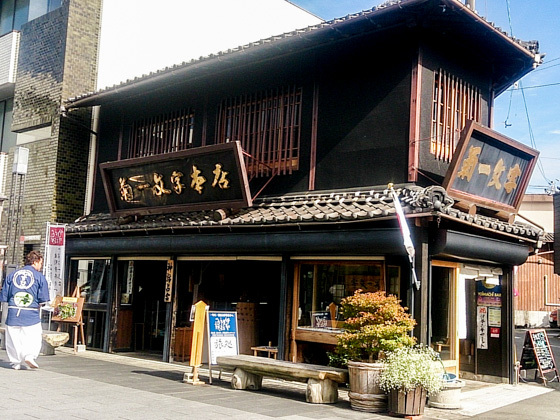 It is a Japanese confectionery shop established in 1860. 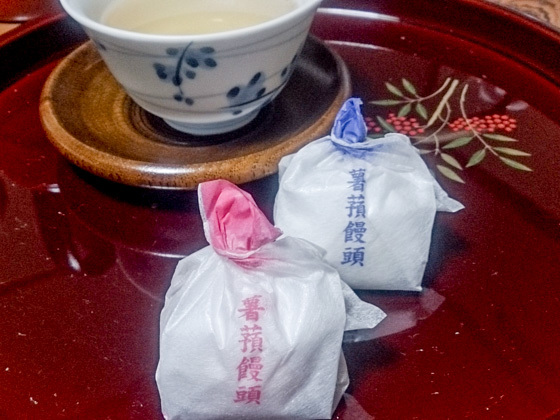 Especially, the Jyouyou-manjyu is a must-try sweet bun. 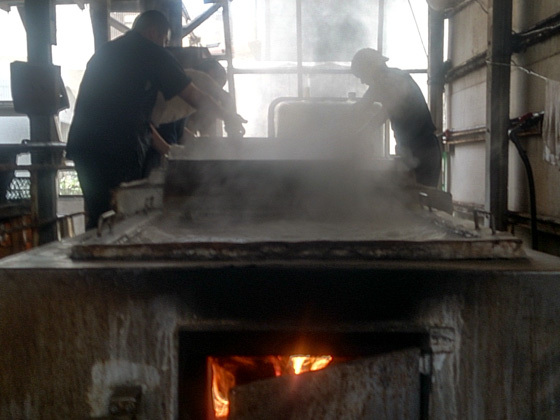 Production of yam potato is famous in Ise since the old days. This Jyouyou-manjyu uses yam for the outside dough. Enjoy the unique taste and flavor. How about spending relaxing moments with a freshly roasted and brewed coffee with delicious cake. 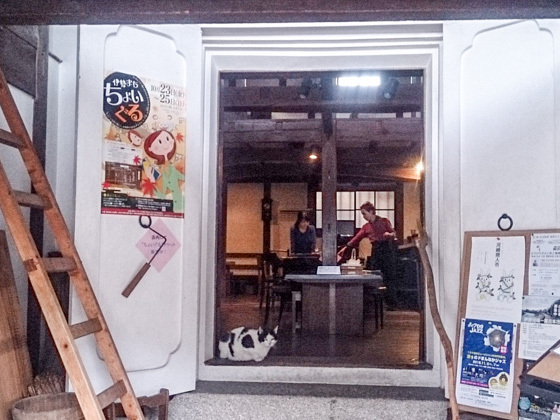 A Japanese style café shop using a renovated warehouse built 150 years ago. 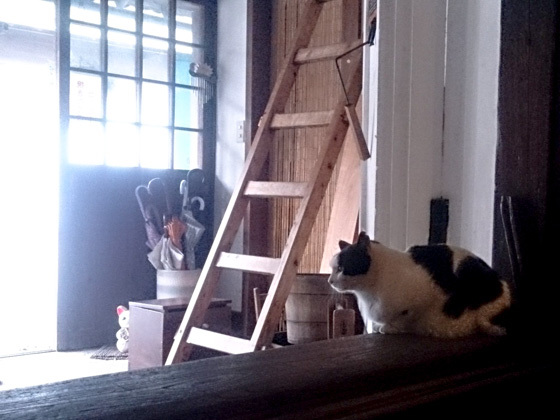 The woody style store has various antique furniture displayed which make you feel the good old days. A symbolic architecture in the Kawasaki district. 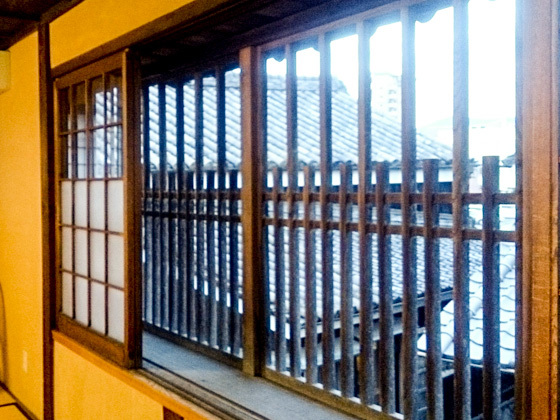 The Ise municipal government renovated the Sake wholesaler shop "Ogawa Shoten" which was built in mid-Edo period (around 1700-1800) and transferred it into a precious building, leaving a taste of the old town of merchant houses in Kawasaki. All architecture was designated as the country's registered tangible cultural property in 2001. A memorable unique landscape spreads in front of you when coming out to Seta river from the street. The riverbank height is carefully designed to enable easy unloading from vessels. It has a special stone structure, and even today it reminds us of how river boats travelled from one place to another.